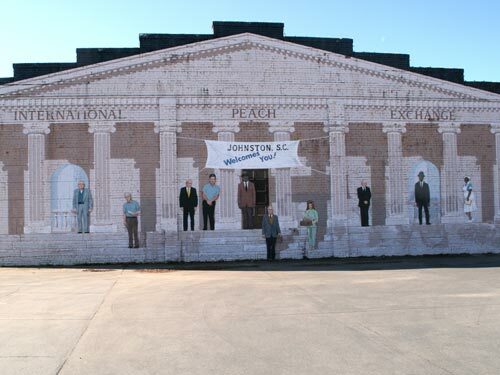 May 1, 2015 – This coming weekend, the Johnston, SC, Peach Blossom Festival will showcase great entertainment, arts and crafts, food concessions, a parade, games for children, and a family-oriented street dance. The parade Grand Marshals this year are the teachers from Johnston Elementary School. These teachers have a tremendous impact on the Johnston area, not just educating young children, but working with parents and citizens to improve the quality of life in the community. Meg Jolly, 2015 Robert H. Herlong Scholarship recipient. 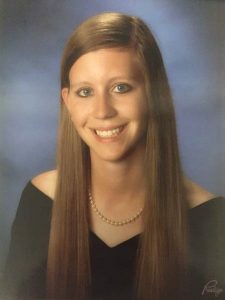 This year’s Robert H. Herlong Scholarship Award winner is Margaret Dixon (Meg) Jolly of Edgefield. The Scholarship is given to a local high school senior by the Johnston Development Corporation each year. It is based on academic achievement and outstanding community service while in high school. Jolly, a Strom Thurmond High School Senior, has been involved with Salkehatchie summer service, donations for the Johnston Food Bank, W.E. Parker Elementary summer school, Beta Club donations of food and supplies for a Special Needs Dance, Volunteering at Relay for Life, Volunteering at the Sign Up at Edgefield Shamrock Run/Walk donating time to Society For The Prevention Of Cruelty To Animals, provided school supplies for the needy through Youth of the Ridge, Future Business Leaders of America Christmas Clothing Giveaway, Helping with Special Olympics at Midland Valley High School, and many other community-service activities and events. The Johnston Peach Blossom Festival Corporate Sponsors this year are Edgefield County Hospital, First Citizens Bank, IGA, J.W. Yonce and Sons, NAPA of Edgefield, SCE&G, Bridgestone, and National Wild Turkey Federation.